If you’re a marketer, don’t miss out on the marketing potential of LinkedIn. Follow these proven best practices for greater results. 380 million strong, built for business. That’s LinkedIn. We’re willing to bet that you’re not utilizing it to its full potential. Some may look at the social media giant as a resource to find their next employee or connect with colleagues (which it is). We see it as a platform to hone your expertise, target new leads, and establish authority in your niche. The marketing potential of LinkedIn is something you should be excited about. Here are 20 tips on LinkedIn best practices for marketers. Are you ready? As a marketer you’re surely familiar with LinkedIn, but let’s make sure we’re on the same page before we go any further. Known for being the top social network for business, LinkedIn is also the third most popular social media network (when measuring monthly unique visitors) of them all, right behind Facebook and Twitter. LinkedIn was built around career development, allowing users to connect with colleagues and potential employers or employees. Users build an in-depth profile and are given access to a plethora of features to help distinguish their individuality and showcase their strengths and experience. Content is shared on the site in a far more focused manner than with other social media, typically showcasing a user’s expertise in their particular industry. Why is LinkedIn Important to Marketers? It’s likely that if you’re reading this post you know about LinkedIn, but you may not know why LinkedIn is important to marketers. LinkedIn is 3 times more effective than Facebook at generating leads! LinkedIn is also one of the most effective ways to find prospective customers, gather information, and reach out to them. You can do it all from a single platform. You’re on LinkedIn to network, add value, and market your personal brand. Making a good impression will help to establish your authority. This list of LinkedIn profile best practices will help you stand out, showcase your expertise, and gain exposure. Avoid looking like an amateur. Ensure that each and every section of your profile is complete. That means your professional name, a current and professional profile image, and a clear and concise description of yourself. Make sure your profile is public and that your contact information is correct. These may seem like no-brainers, but you’d be amazed by some of the profiles we’ve seen! Try not to leave anything blank, the more information you can provide the better (but don’t clutter your profile for the sake of filling in an empty space). You want people to find you when they search. Whether it’s a personal or company page, it should be optimized with the words you want to own—your keywords. Insert them throughout your profile in a natural way and boost your ranking. Additionally, make sure your profile settings allow for visibility in Search Engines via your public profile. With the basic premium account you’ll increase your profile’s visibility and get access to extra features, including “Who’s Viewed Your Profile.” See who’s interested in what you’re saying and reach out to them. You’ll also get 15 introductions, which are awesome for networking and referrals. Simpler is better, so update your personal URL to display like this—linkedin.com/in/yourname —and eliminate their default URL with those pesky extra characters at the end. It’s a clean and easy improvement that will go a long way when you share your link. You’re the expert, so let it be known. Show off your authority with endorsements from other users. Solicit contacts for endorsements and be sure to endorse them as well. LinkedIn gives you the opportunity to provide samples of your work in your profile. It’s an easy way to demonstrate your authority to anyone who’s checking out your page. Be sure to include a few of your best works and ways for them to see others, rather than cluttering up an otherwise clean profile. LinkedIn has made several changes to the company pages and will likely continue to do so. Make sure yours is up to date with a high-quality banner image and engaging visual presentation. Always be looking for updates in features and ways to improve the look and feel of your profile. Showcase pages are a great way to personalize a visitor’s interaction with your company page. While linked to your company profile, they are completely separate pages which showcase a unique product or service. A user can follow or engage exclusively with a showcase page without having to interact with your entire brand. It allows you to build targeted connections and networks around a product and reach out separately. LinkedIn allows you to target incredibly specific markets with their paid ads. Put your ads in front of specific industries, company sizes, or even job titles. LinkedIn gives targeting options that allow you to make the most of any B2B pay-per-click budget. When finishing up communication with a potential lead or sale, tell them you’ll be reaching out through LinkedIn. 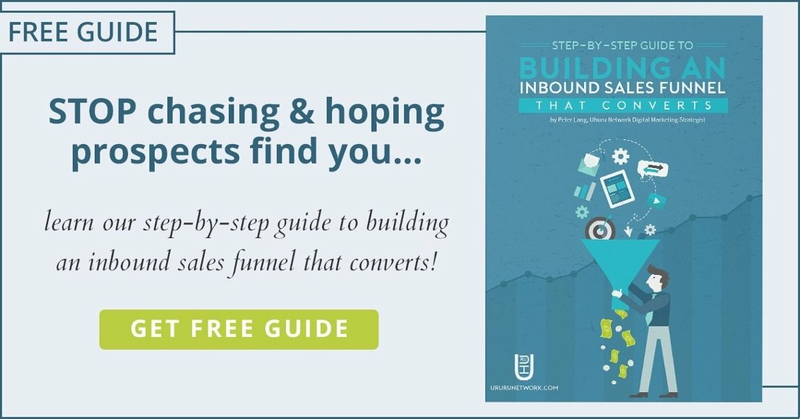 When they see your connection request, they’ll be more likely to accept and from that point you’ll be in a powerful place to continue moving them down the sales funnel. LinkedIn has multiple levels of membership available, each with its own set of accompanying features. For example, a Business Solutions membership will give you access to the Content Marketing Score. This allows you to measure the level of interaction with your pages, posts, paid updates, groups, and more. The more you know about your marketing efforts the better, and LinkedIn provides you with detailed feedback. What better way to establish yourself as an authority than to lead a group for your niche or industry. Build a community around your content and expertise and you’ll be turning members of your group into your cheerleaders and referral partners while potentially generating new content and ideas. What kind of inbound marketers would we be if we wrote a post entitled “LinkedIn Best Practices For Marketers: 20 Actionable Tips” and totally ignored the marketing potential of LinkedIn groups? Groups offer a way to connect with an audience that is ready to hear what you have to say. You just have to know how to make groups work for you. This is a big one. Be selective. Your business will likely fit into a broad spectrum group with huge membership numbers which may seem appealing given the potential audience. Skip the giant groups and join those with a clear focus that relate specifically to your company. For instance, to market your Enterprise application development company you may be tempted to join a software development group that covers applications development but also includes systems development, test automation, scientific development, embedded systems development, web development, and so on. You’ll do better building authority in a group related specifically to business application development, even if they have only 10% of the membership of the software development group. They’ll be far more likely to click on content you share. That’s why they’re there. Seek out ways to put yourself in front of your specific target audience. As long as you’ve been a member of LinkedIn for 30 days and a member of a particular group for at least 4 days, you’ll be able to bypass the need to be a first-degree connection in order to message other members of that group. You get 15 free initial contact messages each month, which means more connections and more leads. Being active in these groups takes time (which you may not have), but that doesn’t mean you can’t utilize them as a marketing resource. Reach out to the owner(s) of the group and ask if you can run a display or text link ad. You’ll be paying to market to a very targeted audience that will be far more likely to click through. A major part of marketing on LinkedIn involves networking. After all, LinkedIn is like a giant, hyper-effective networking group. Make sure this isn’t just another LeTip meeting by employing some LinkedIn network best practices. An excellent feature of the premium account is Open Profile, which gives you the opportunity to message people who you aren’t directly connected to (or in a group with). It also means you can accept messages from any other LinkedIn member (those with basic memberships too) if you choose to. It’s likely you’re familiar with Facebook’s News Feed. Network Updates is LinkedIn’s version. See what your network is sharing and post compelling content of your own. This is a great way to stay current with your network and keep them engaged in what you’re sharing. It make seem like the ultimate stalker tool but when it comes to networking the “Check out who’s viewed your profile” feature is invaluable. We talked about this feature as a benefit of a premium membership, but know it’s time to put it into action. If someone has checked out your page that you’re keen to connect with, this may be the perfect segue. Here’s another LinkedIn network best practice that we love: Get other users curious about who you are and what you do by visiting their pages. They’ll look at who’s seen their profile (as described in the previous tip) and could end up viewing your page. The more the merrier, right? Excited to put these tips to work? Be sure to read this post about How to Use LinkedIn to Increase Lead Generation first! This LinkedIn Best Practices list provides you with a solid launchpad to get you marketing effectively on a social media powerhouse. Implement our tips and the only problem you’ll have is figuring out why you weren’t doing these things in the first place.